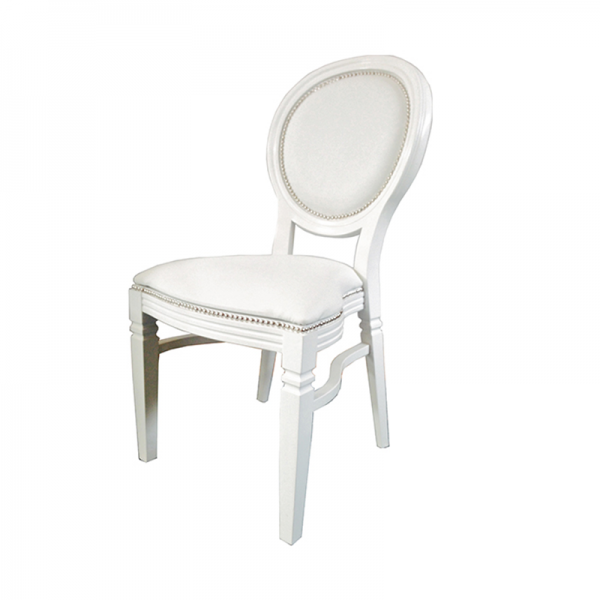 If you're looking for a beautiful statement chair with classic styling and antique charm, the Chateau chair won't fail to disappoint. 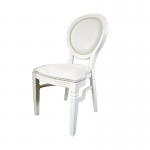 Based on the classic French style, this chair is timelessly elegant and features a solid wood frame. The Chateau chair is upholstered and features beading detail. 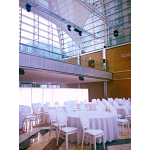 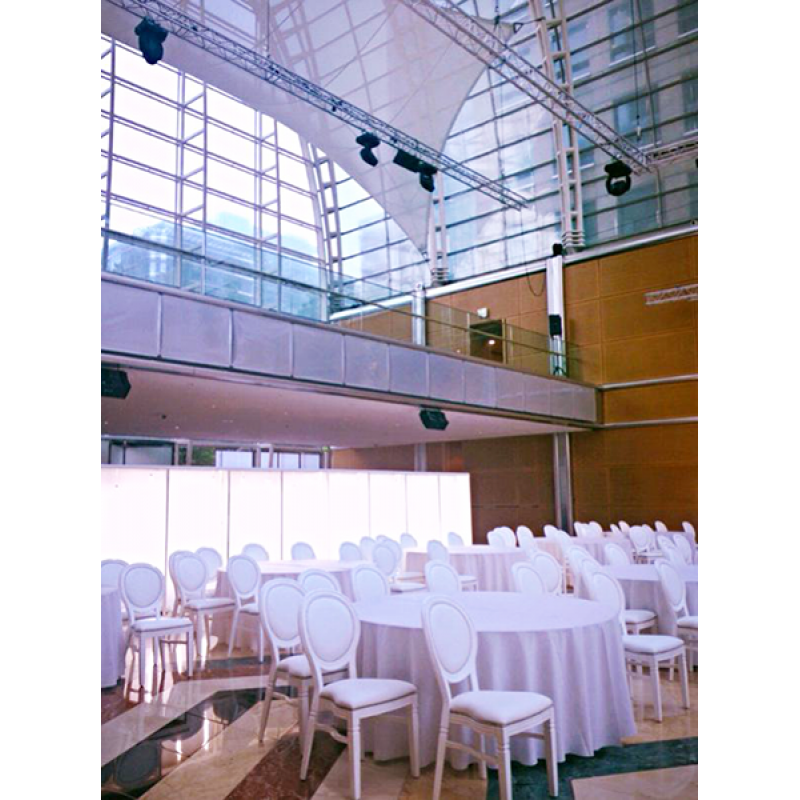 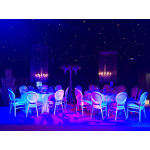 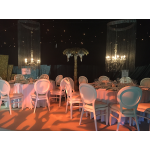 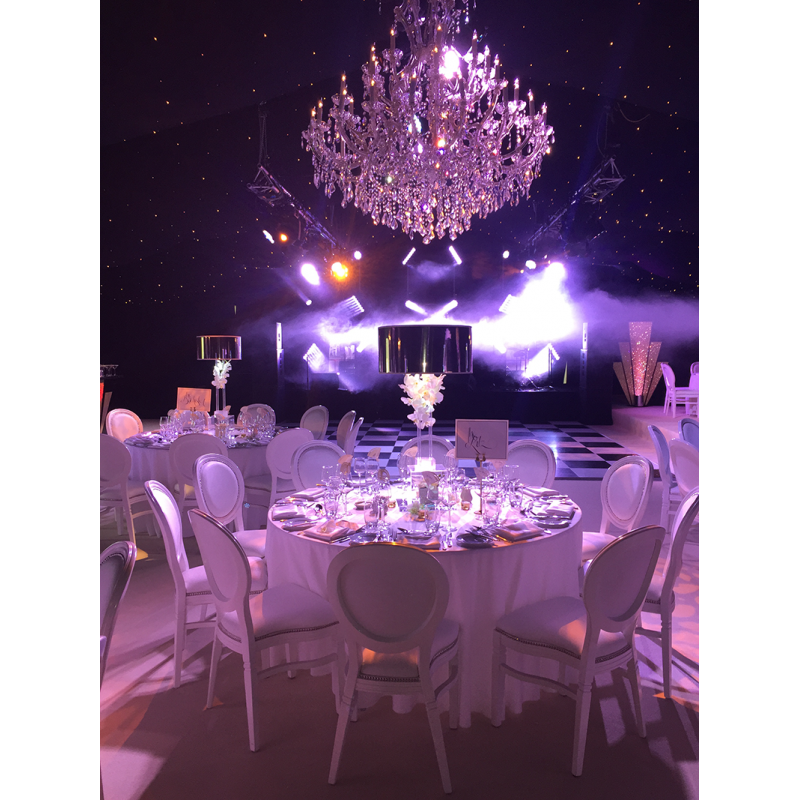 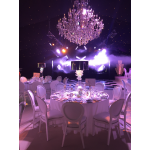 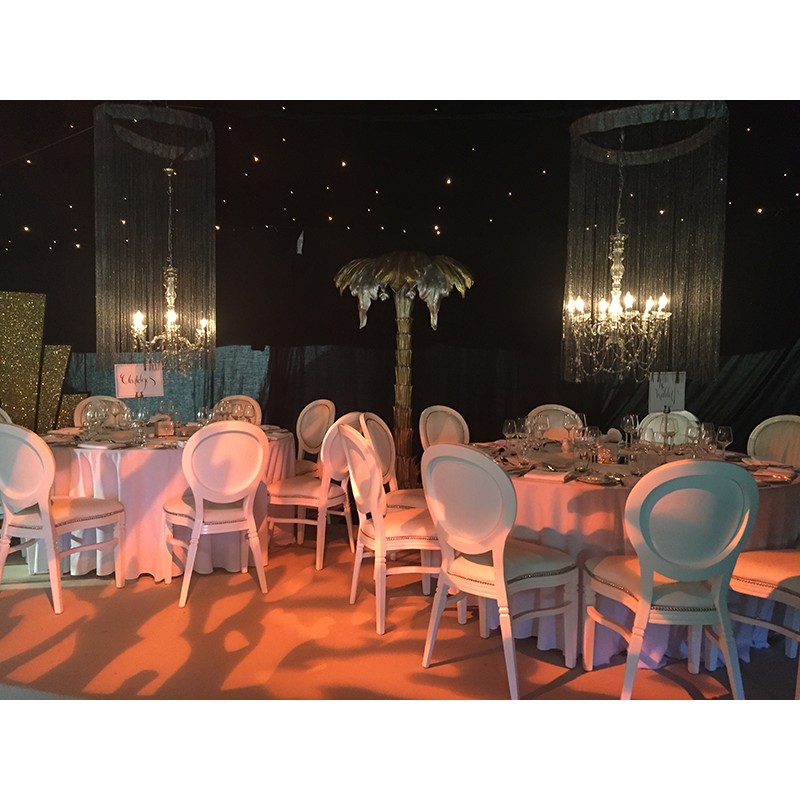 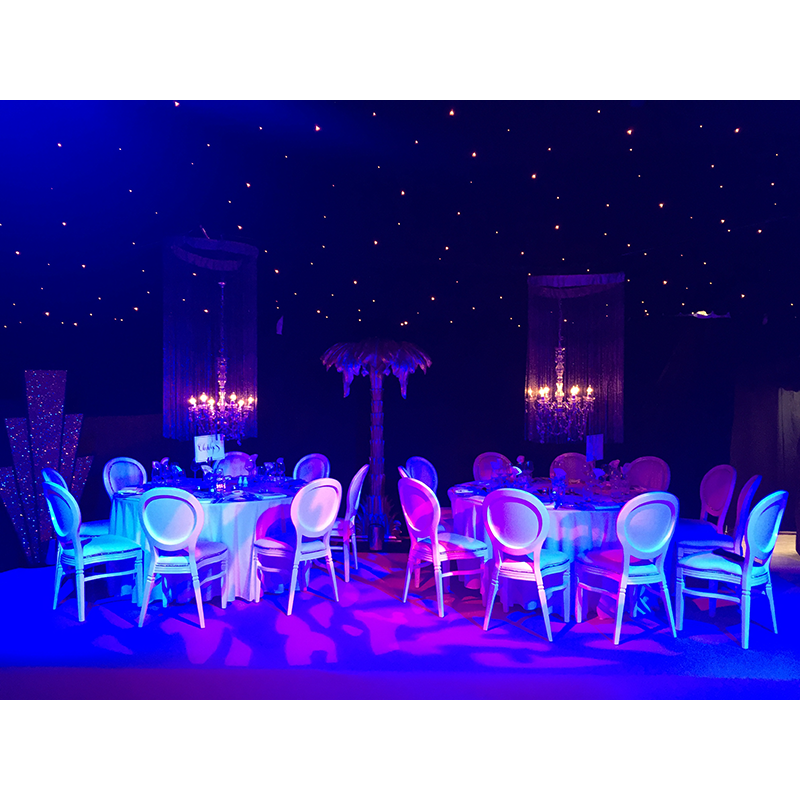 This chair is perfect for creating a fairytale feel at an event and It looks stunning at weddings as well as formal occasions such as award dinners and gala events. 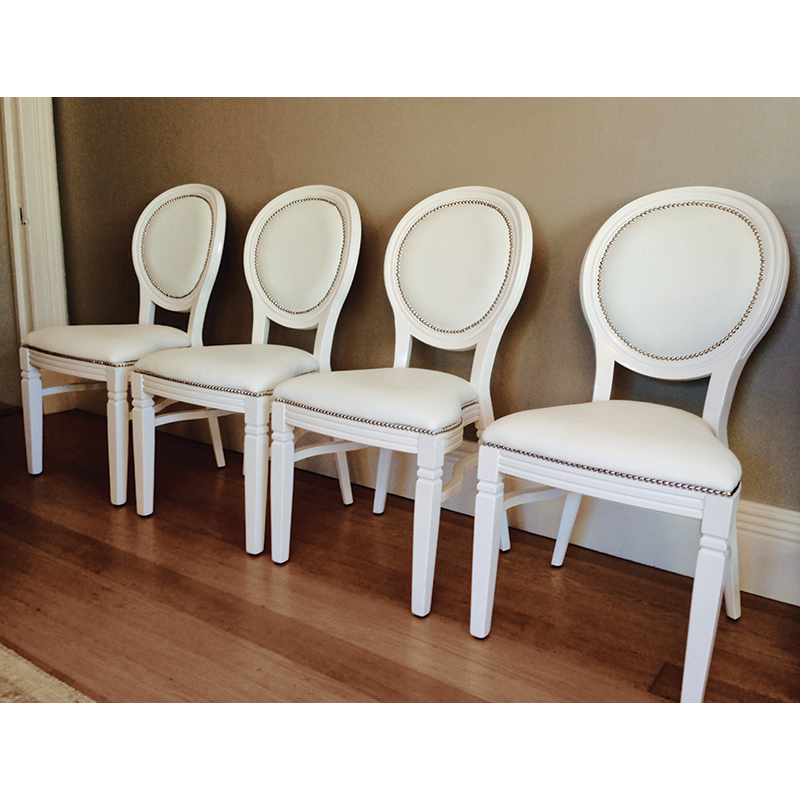 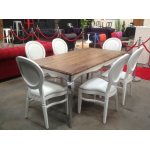 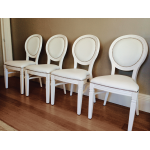 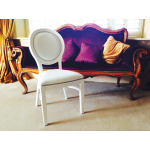 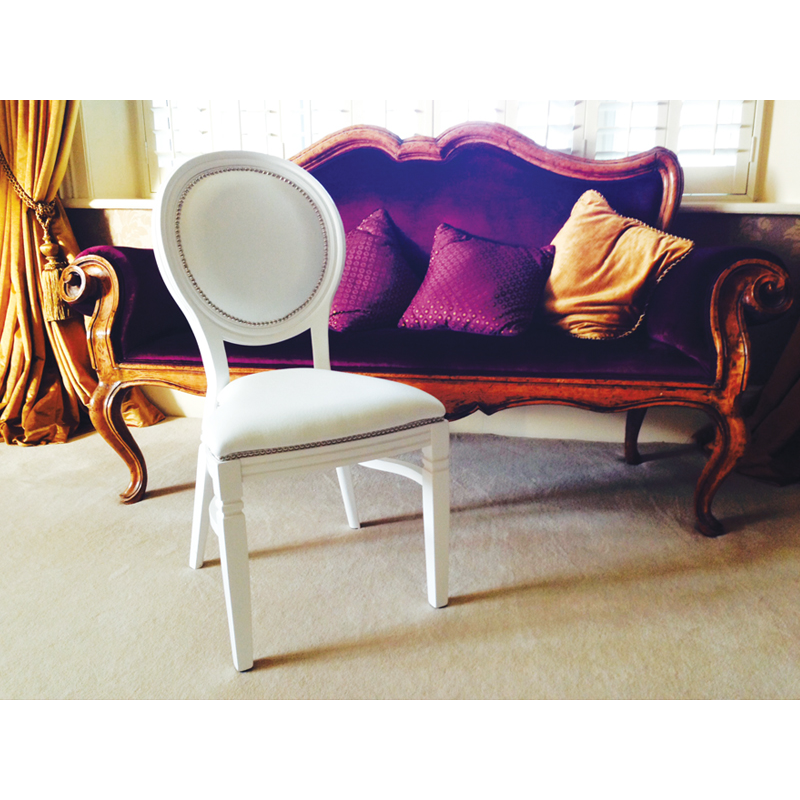 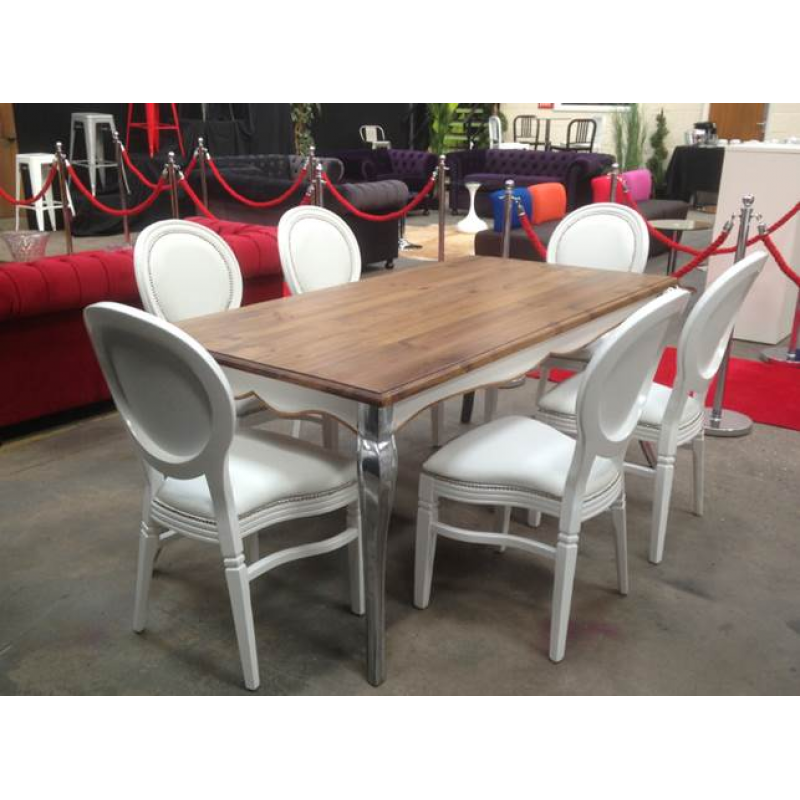 We'd recommend pairing our Chateau chair with our elegant French style dining table.